Between lengthy meetings at the office, frantic shoppers and frenzied holiday music, it can be hard to stay focused on the fact that the year is coming to a close. In fact, with all the water cooler talk about the world ending it is even anticlimactic. Just like a certain beloved movie from the ‘80s that used a DeLorean to take us to the future, we now have a vehicle that can be used today, in 2014 and well beyond – defined contribution health benefits. Health insurance producers and consultants should educate their clients on the defined contribution benefits strategy now because this trend is not going away anytime soon. In fact, nearly 50% of employers “definitely or probably will” switch to defined contribution in 2013. Opportunity's always knocking. Just open the door. If everyone knows that a bird in the hand is worth two in the bush, then why isn’t cross-selling a universal practice? Cross-selling is a great tool for client retention, as well as prospecting. Your clients and prospects may not be aware of the full portfolio of your offerings. So, don’t think twice about reviewing all options during the renewal/enrollment process. 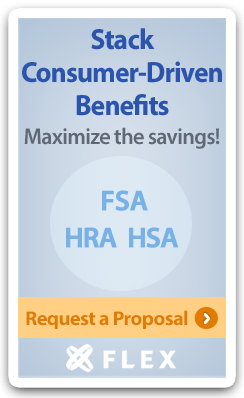 This is your opportunity to suggest how they can enhance their benefits program. And yes, even if they feel satisfied with what they offer currently.